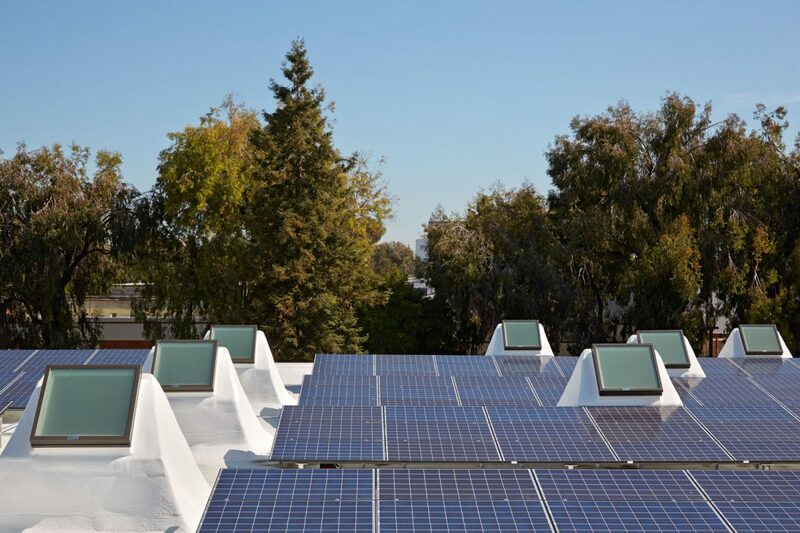 A Net Zero Energy retrofit gives Silicon Valley office tenants a million reasons to go green. 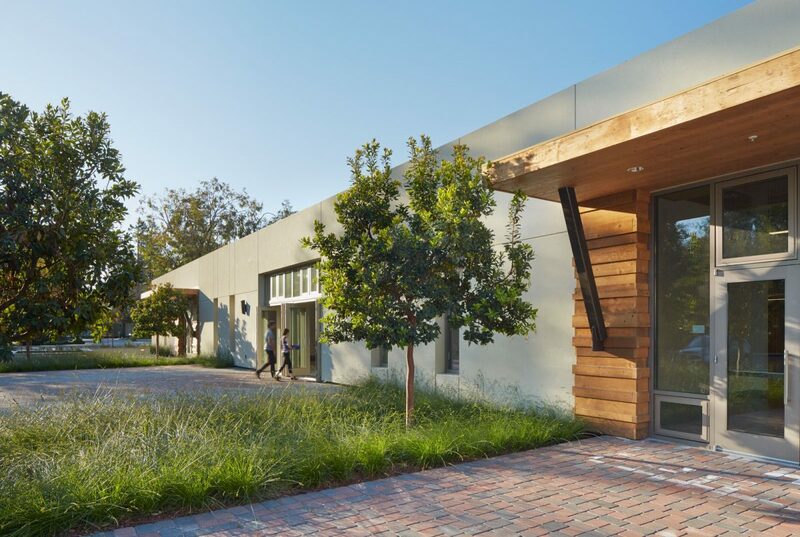 Silicon Valley is full of buildings like 435 Indio Way: rapidly aging, seismically unsound single-story tilt-ups. 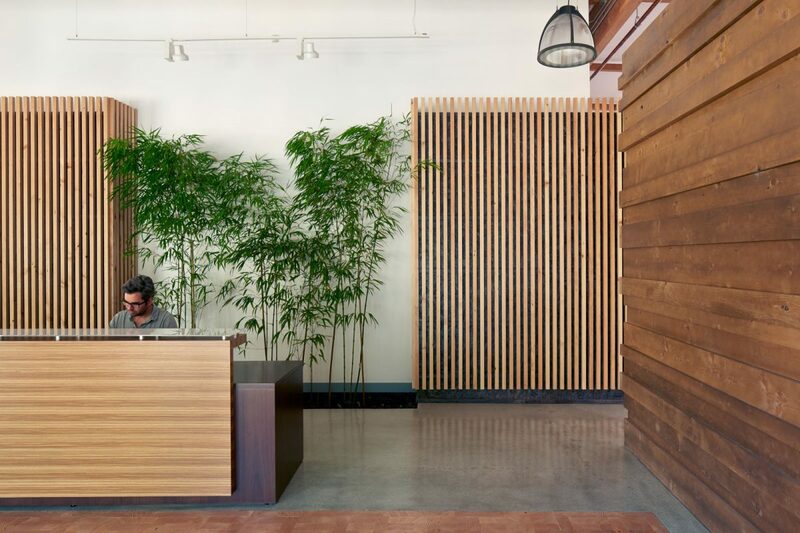 They’re ubiquitous enough to be anonymous, but they also house some of the Valley’s most innovative firms. 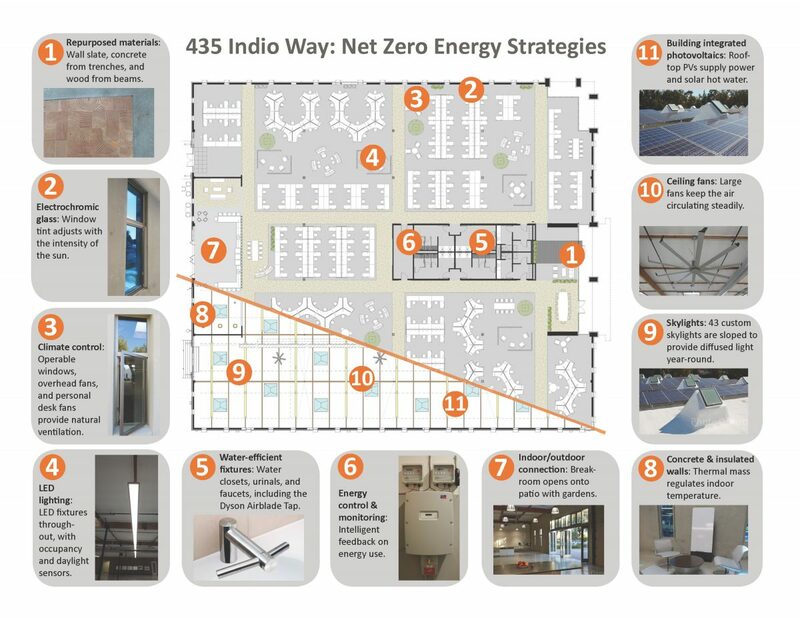 SHARP Development decided to think outside the box — and off the grid — when it came to 435 Indio Way, retrofitting it as Net Zero Energy commercial offices. Using design strategies that include integrated rooftop photovoltaics, 43 custom skylights, operable electrochromic glass windows, and an upgraded building envelope, the 30,000-square-foot tilt-up was transformed into a unique and exciting environment that produces at least as much power as it needs to operate. 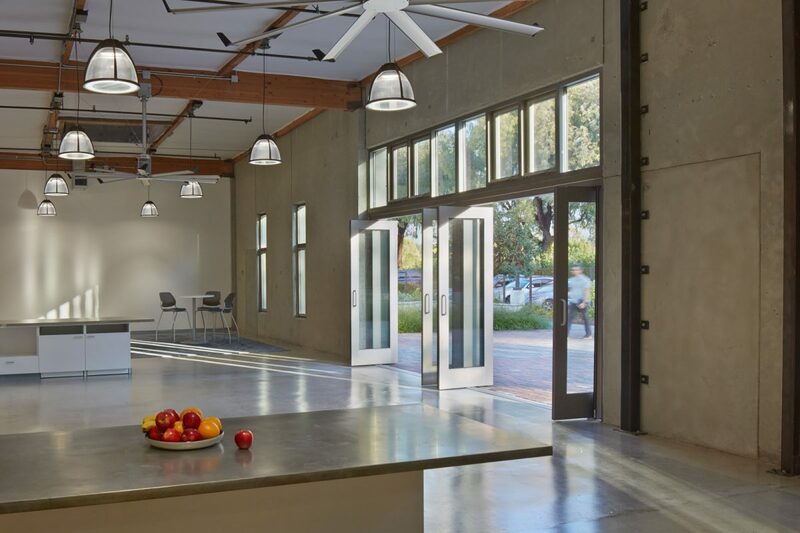 Skylights and windows open automatically at night to “flush” the building, while large ceiling fans keep the air gently circulating. 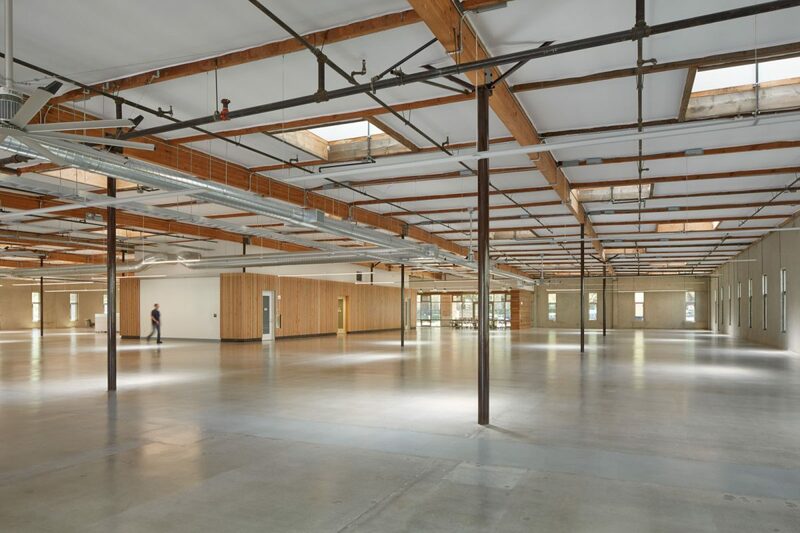 During the day the space is 100% naturally lit by the skylights and the electrochromic windows. A breakroom opens onto a 10,000-square-foot brick patio that features a bocce ball court and raised beds for two kitchen gardens. 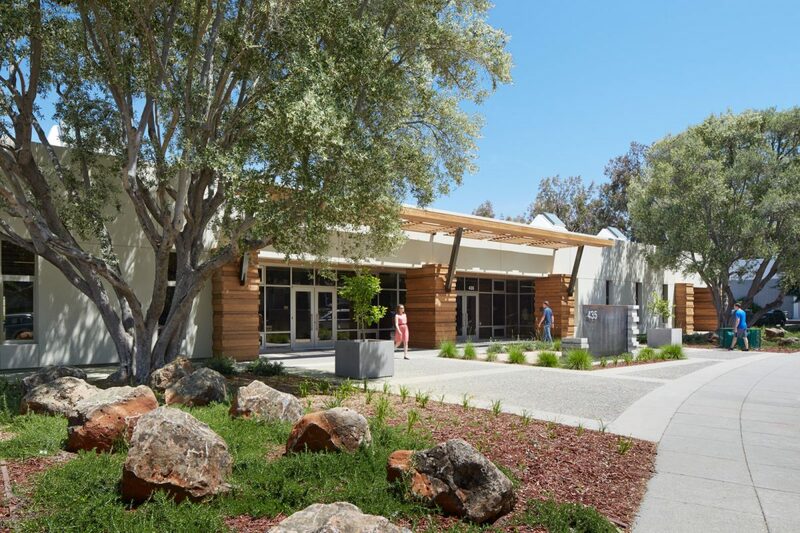 435 Indio Way found tenants in record time — three short months compared to an industry average of 18 months for comparable spaces — and provides a successful model for Silicon Valley commercial spec office retrofits as revolutionary as their tenants. 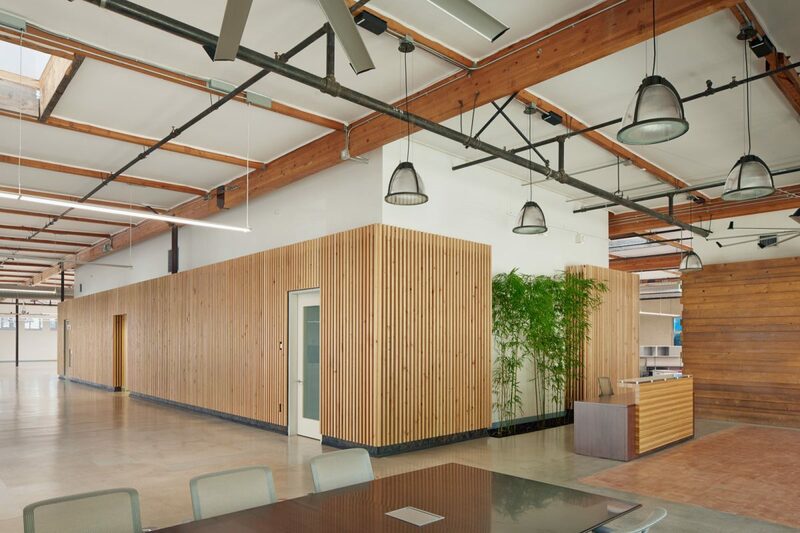 The retrofit increased the property’s value by $56 per square foot. 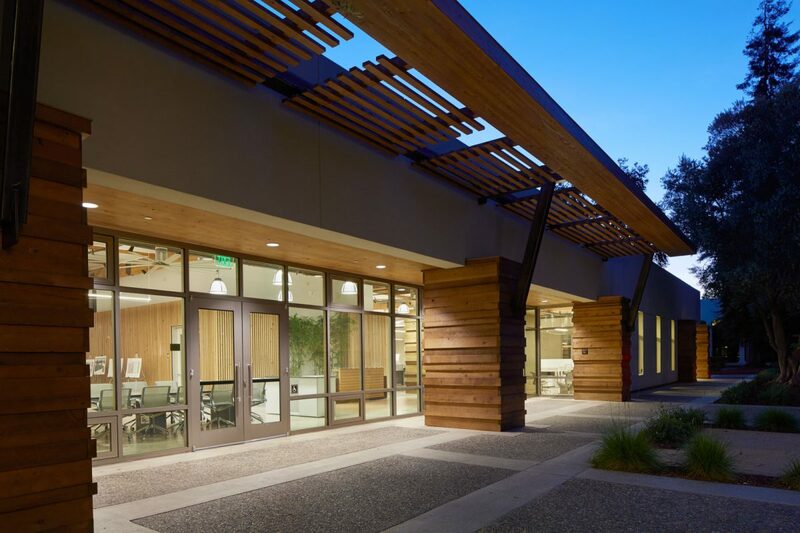 Exterior wall slate, wood beams, and concrete removed during construction were all repurposed onsite as building materials. Award: The project was recognized with a 2015 Acterra Business Environmental Award for Best Sustainable Built Environment. 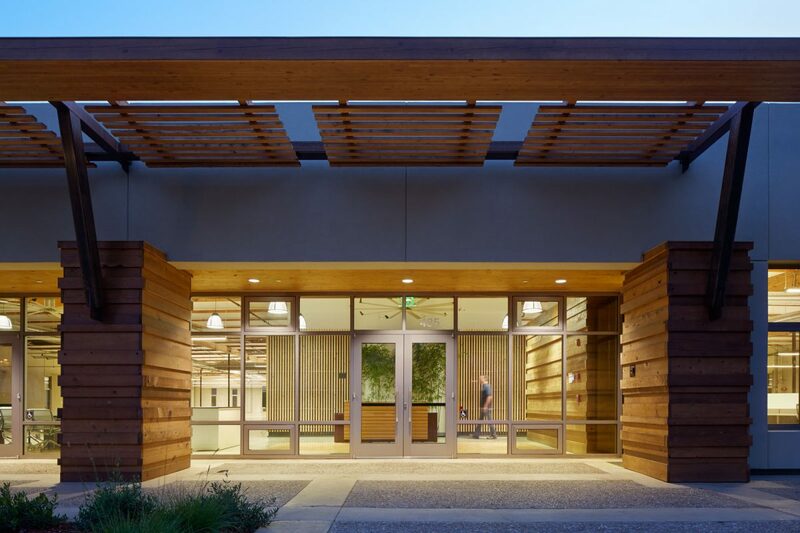 Award: 435 Indio was awarded “Best Reuse/Rehab Project” by the Silicon Valley Business Journal in 2014.